Tired, worn out, exhausted, fatigued, sapped, dog-tired, spent, drained, done-in, beat ready to drop, bushed, worn to a frazzle, pooped, tuckered out. You can pick any one of those phrases and you pretty much have my attitude towards this winter. Oh, Spring, wherefore art thou? Will you not come forth and bring your daffodils, tulips, cherry blossoms, and robins. Today has been all cloudy, threatening to rain. Damp, cold and just plain ugly. In hopes that the weekend would bring some relief, I checked the forecast. I should not have done that. I'm a sunshine type of girl. I need for the skies to reign blue and feel a warm breeze across my face. Having a little bit of SAD after my morning walk (Seasonal Affective Disorder, just one my many others disorders), I started browsing through some old photos. They immediately perked me up. I love to sail. Being from Iowa and all, I didn't take it up until 10 years ago when The Professor and I bought a boat and joined a sail club. Did we know how to sail. No. Did that stop us? No. We sort of figured it out, read lots of books, and crewed on other people's boats till we felt confident enough to begin joining in on summer race nights. 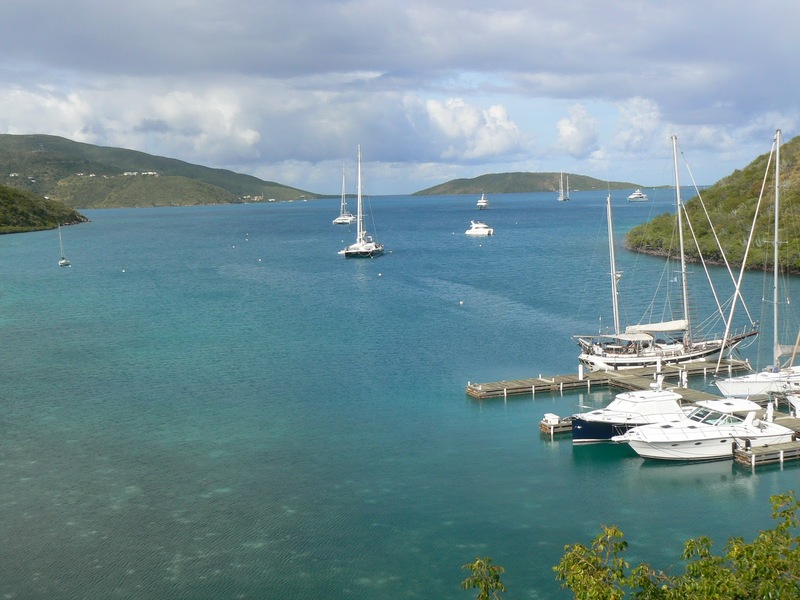 Itching for bigger waters, The Professor and I decided to charter a boat in the British Virgin Islands. For the next five years, every December we sailed the clear blue waters that surrounded St. Thomas, St. John, Virgin Gorda, Peter Island, Jost Van Dyke and Tortola. And then we moved to Philadelphia. Where you would think the sailing even better. It would be, if we still had our boat. But. we. sold. it. At the time, we had no idea where we would sail or dock our boat. Anyhow. Us sailors? We're always wanting a bigger boat anyway, so our thinking was, we would buy another boat, only larger. 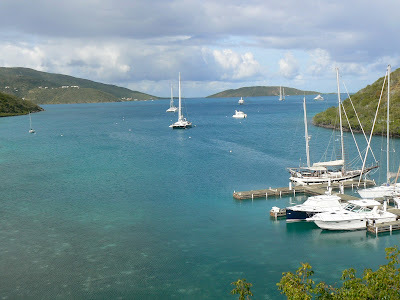 Here we are, five years later, and we haven't yet bought a boat and have not been back to the BVI's. A few things like home renovations, renovations, renovations, and business travel, travel, travel, have interfered. But no matter. The Professor knows how to keep this woman happy. A boat. Sometime again. But in the meantime, when I saw these photos again, they made me smile and chased my wintry blues away. The Caribbean’s most well-known bar (and doggie), Foxy’s on Jost Van Dyke. I have rocked myself on that hammock in many a December at Foxy's. 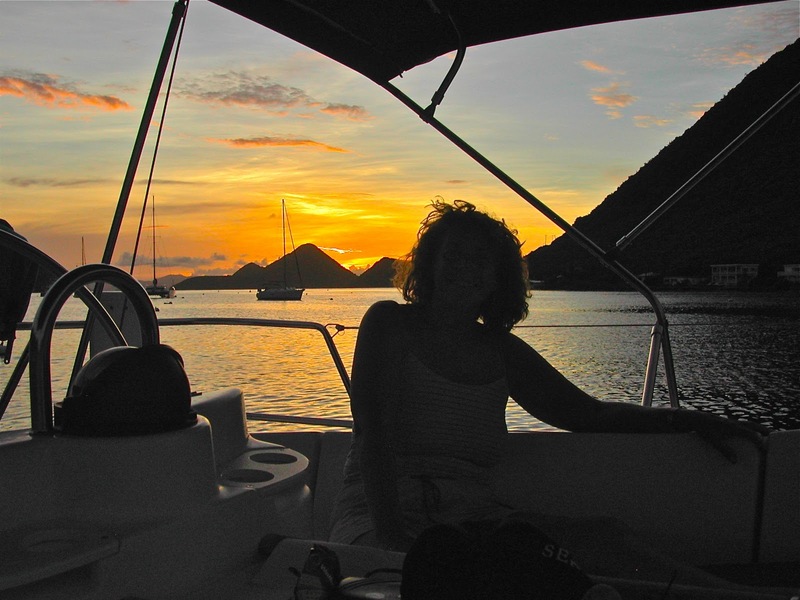 Best time of year to sail the BVI's is early December when there are no crowds, plenty of mooring balls and no wait at Foxy's. One of our favorite spots, The Beach Bar, at St. John's. Biras Creek with its incredible views and dinners. But my most favorite place is right here, rocking in the calm waters at sunset. Wishing you sunshine in your life, however you define it.